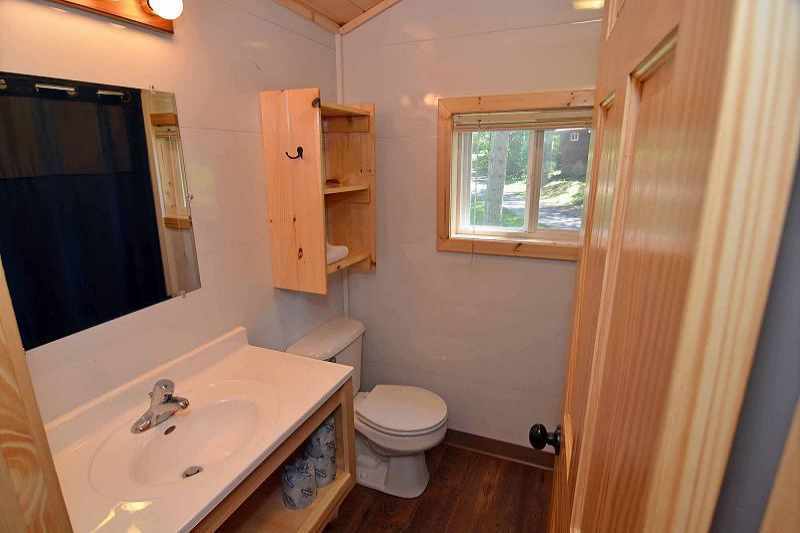 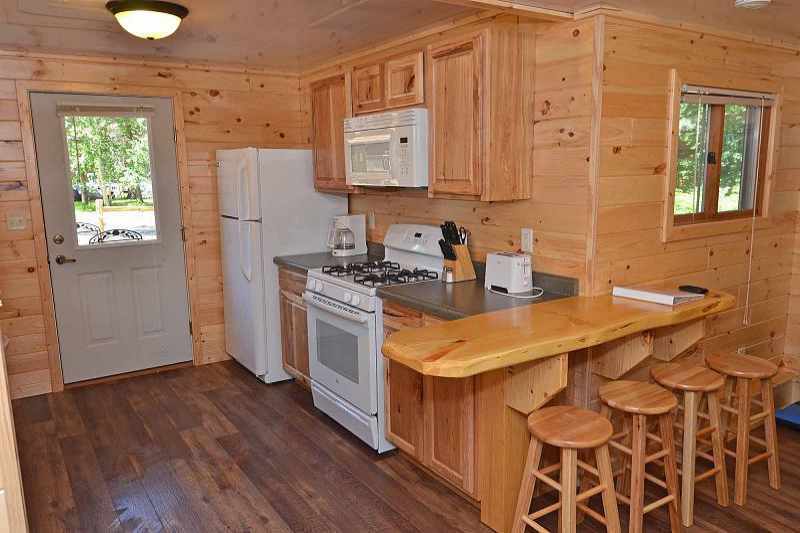 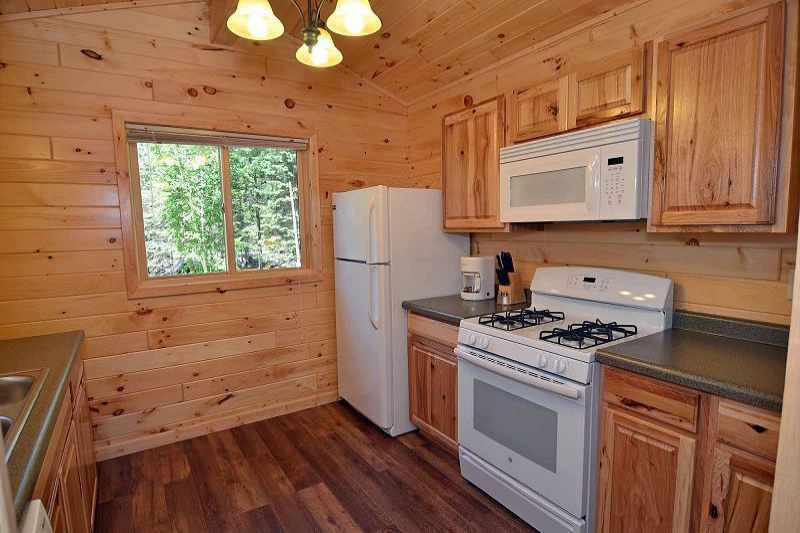 The Cedar units are separate efficiency units that can be rented together. 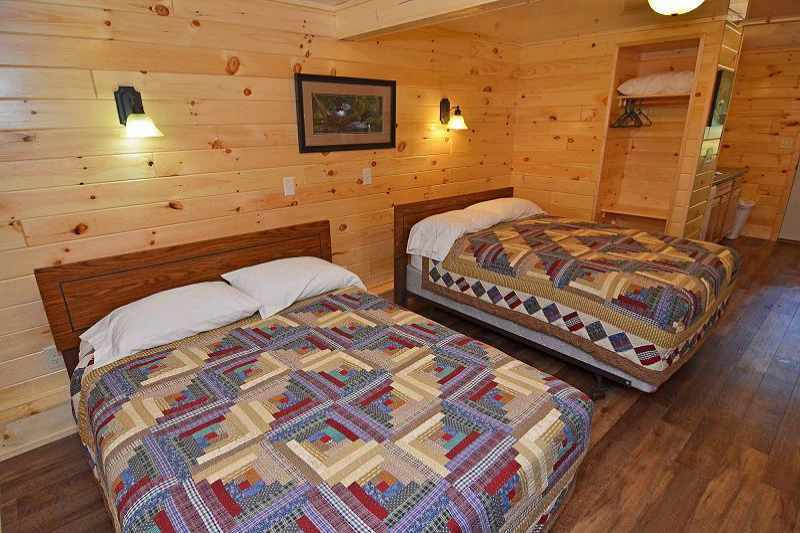 One upstairs (Cedar II) and one downstairs (Cedar I). 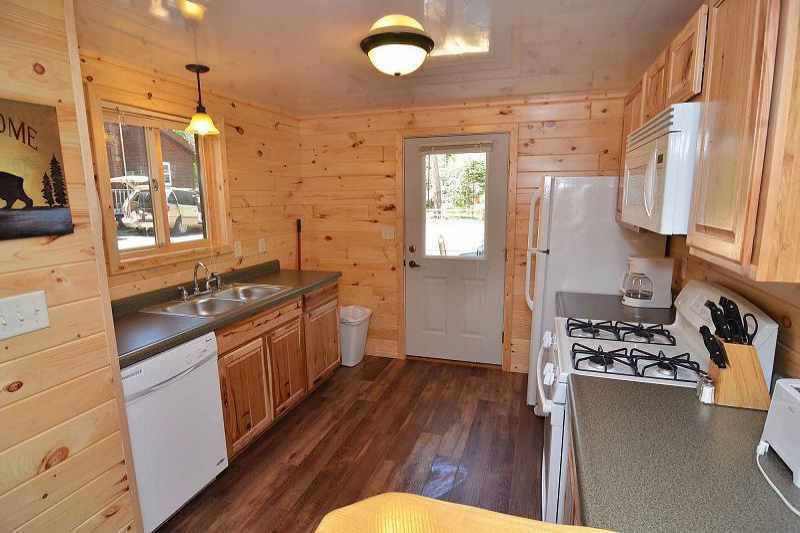 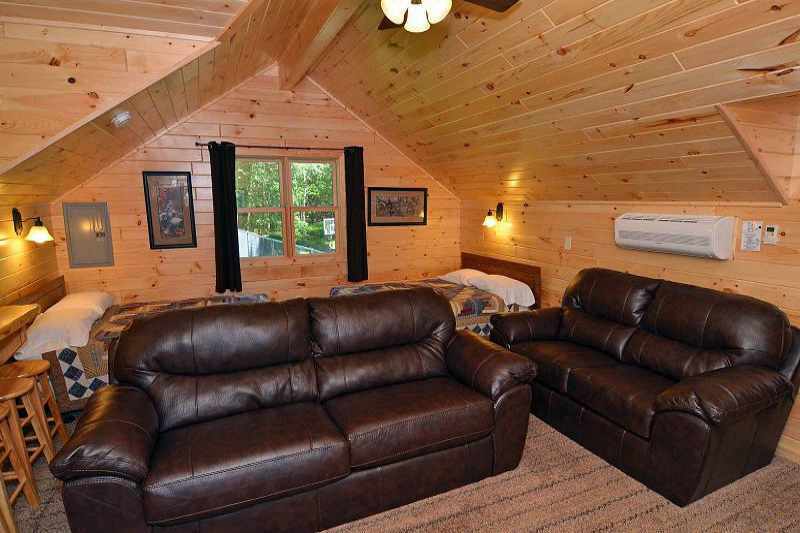 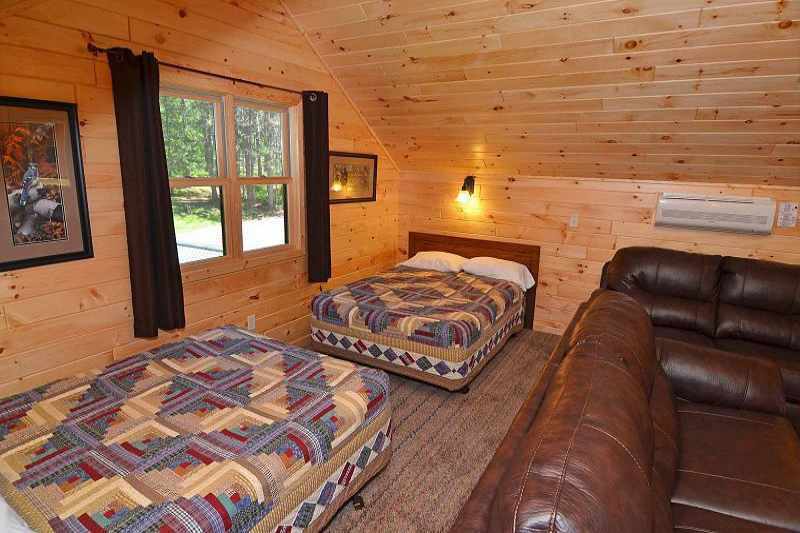 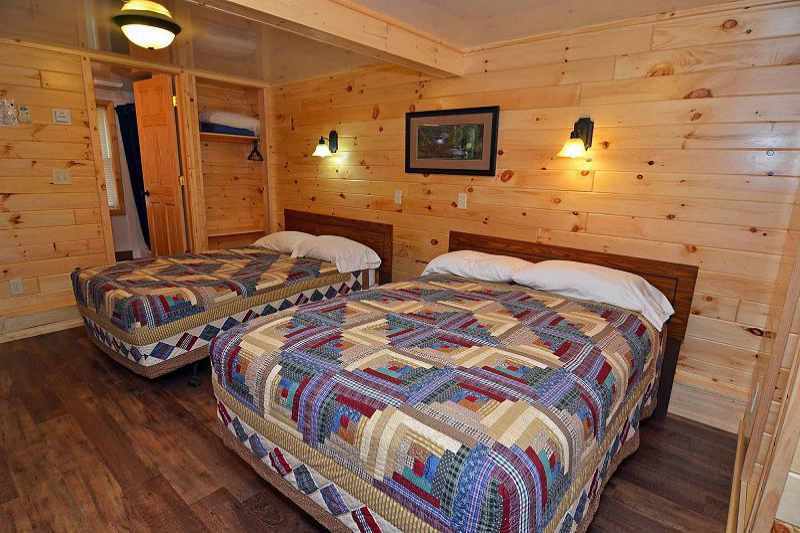 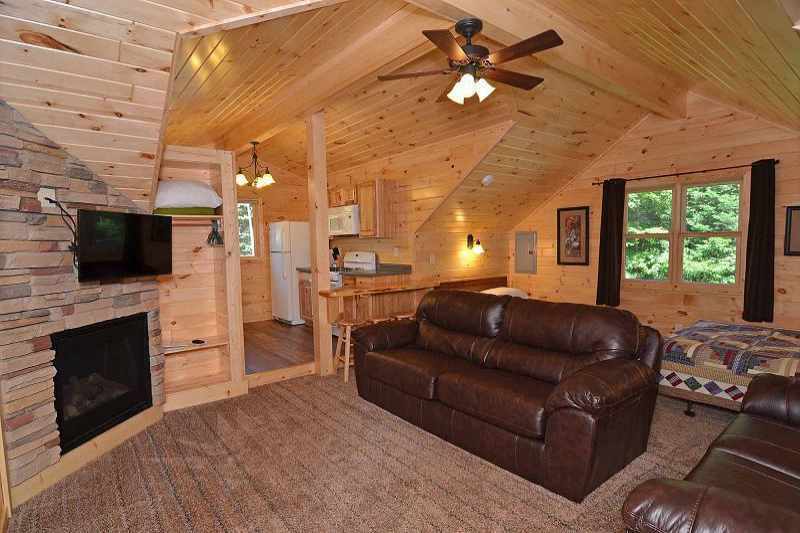 Each has a large open room, housing the two double beds, full kitchen and dining area. 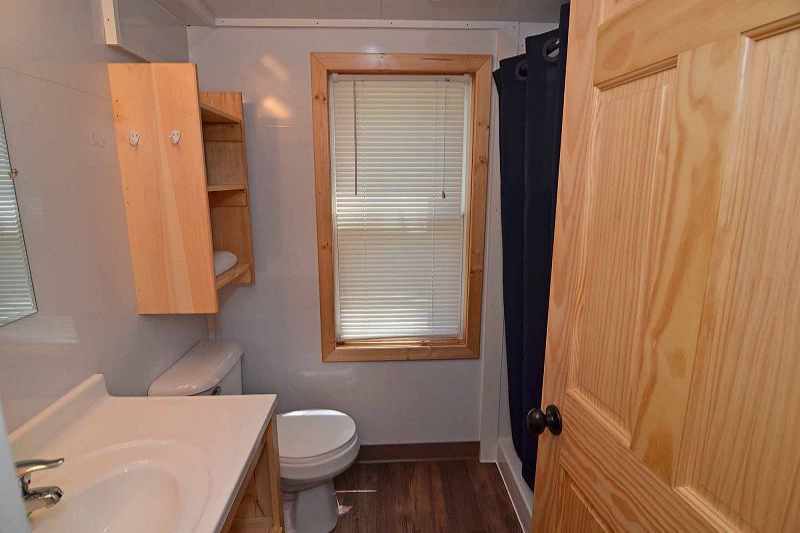 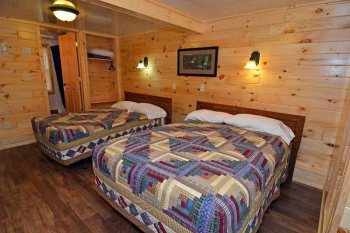 A separate bath with shower, small private deck, air conditioning and Flat screen HD TV's, with 100+ channels Dish Network TV, make these units complete and comfortable. 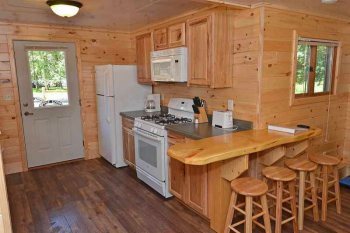 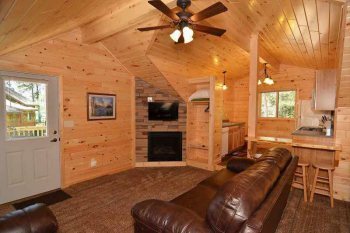 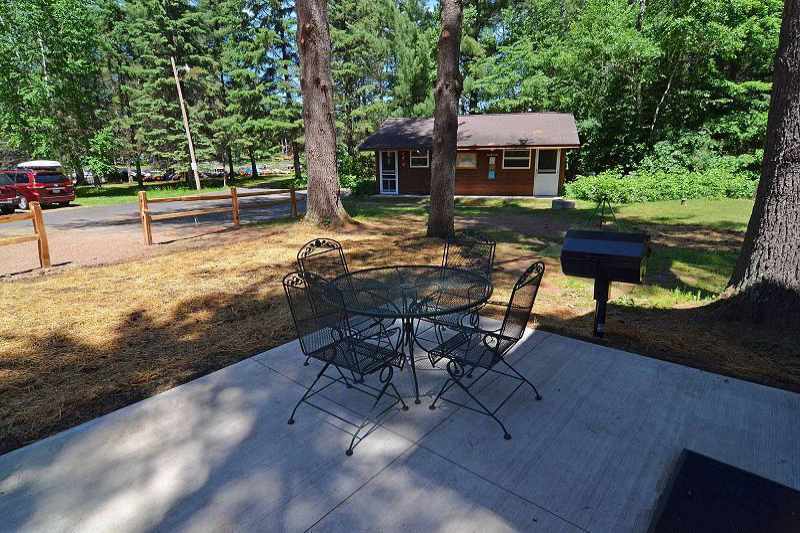 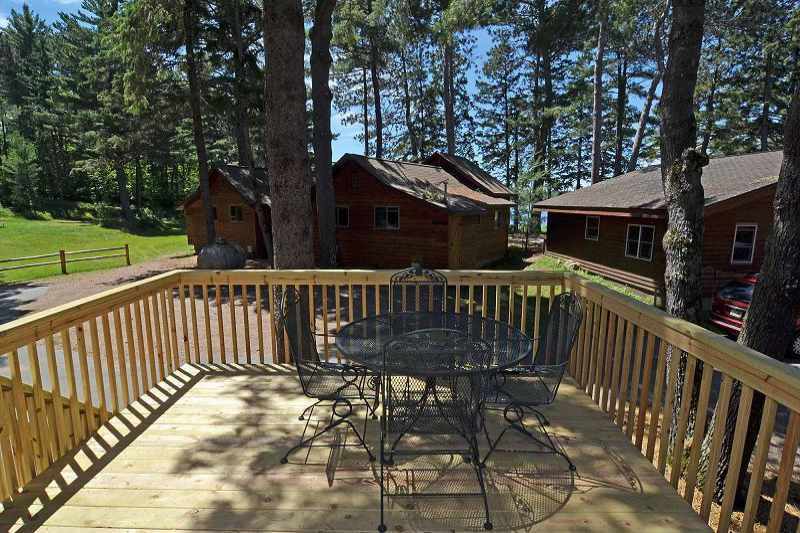 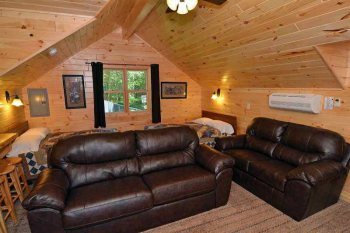 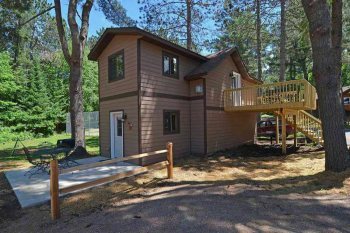 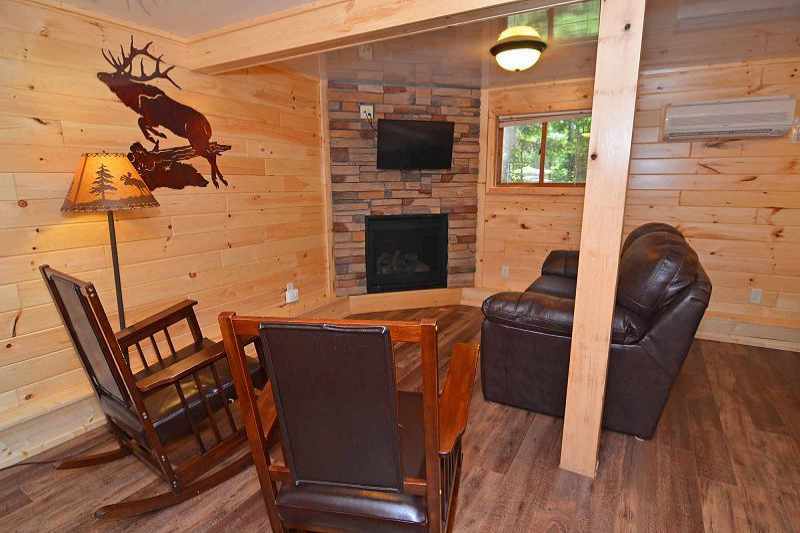 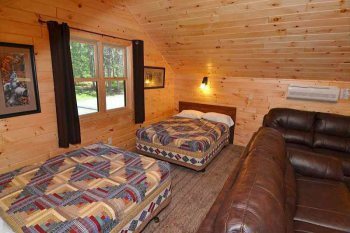 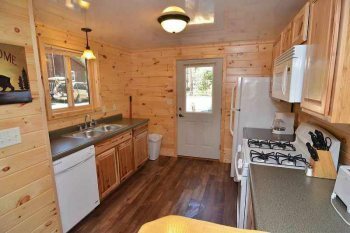 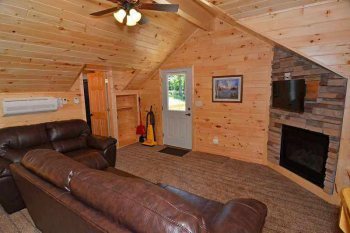 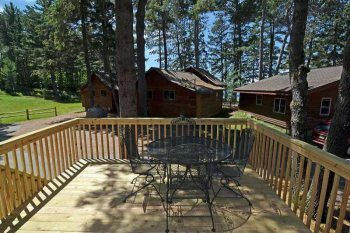 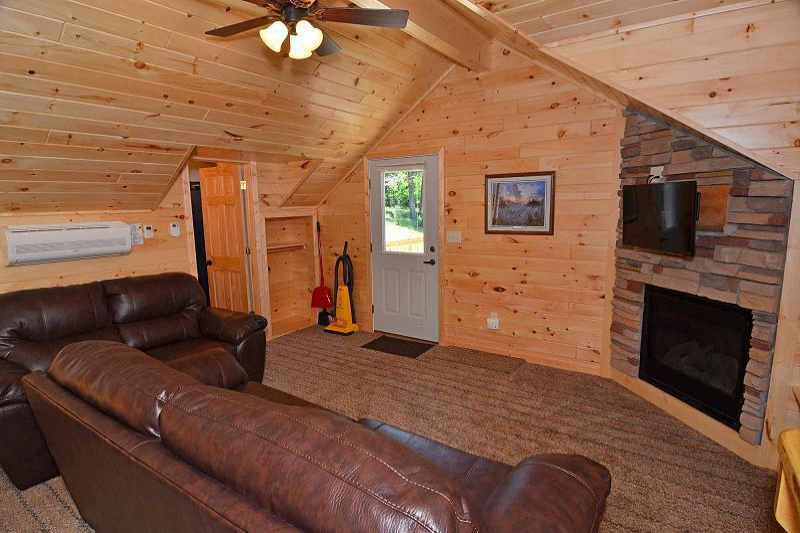 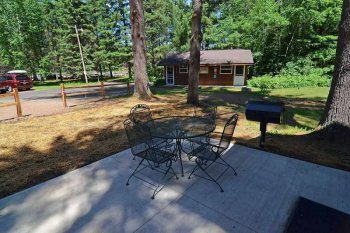 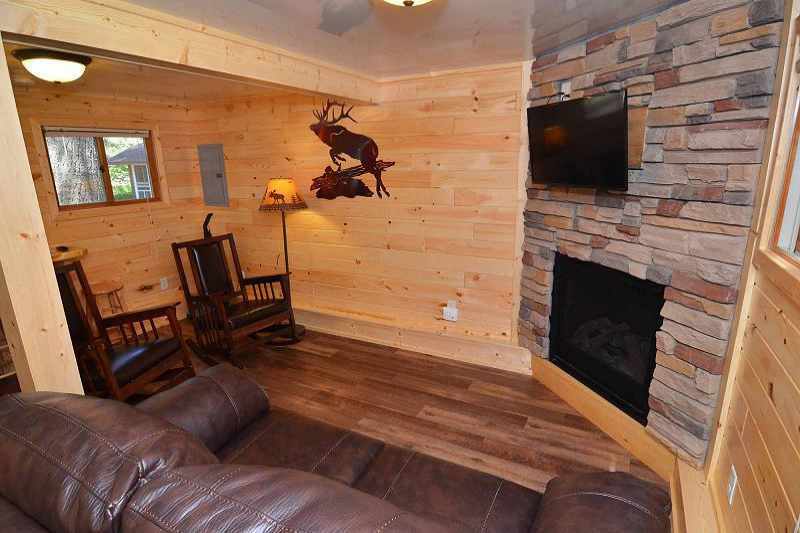 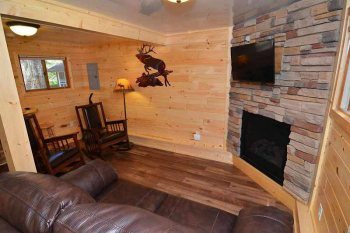 The Cedar units do not have a view of the lake, but have a great location very close to nature trails, basketball/ tennis courts, kayak/ canoes/ paddle boats, sand volleyball court and the lodge and restaurant.